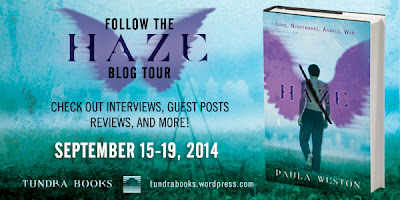 Today I'm thrilled to be reviewing Paula Weston's Haze, the second book in her amazing The Rephaim series! You can follow the other stops on the tour by clicking here or on the tour banner above. All of the bloggers on the tour were also given a fun quiz to find out which character from the series they're most like, and you can check out my result below, following the review! 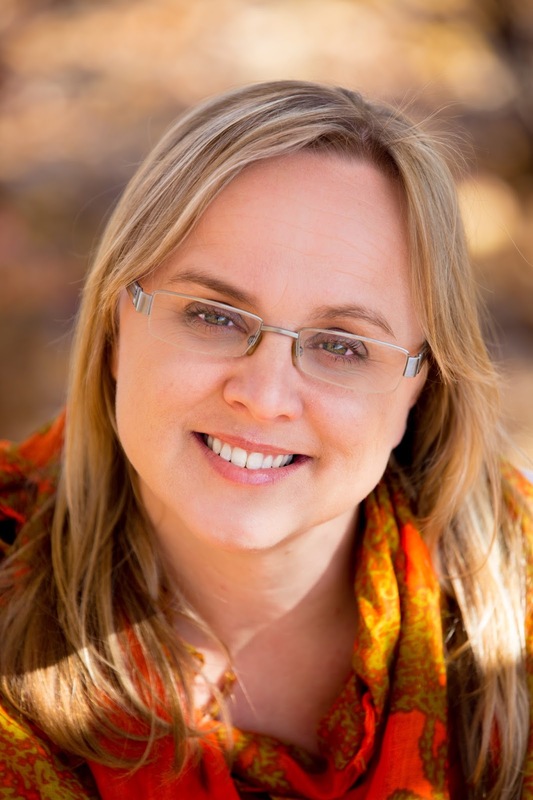 Synopsis: Gaby Winters' life used to be pretty normal. She lived with her best friend. She worked in a library. She was slowly getting over the death of her twin brother, Jude. And then Rafa came looking for her. With him, her blood-soaked nightmares stopped. But now they are reality. She is one of the Rephaim—a wingless half angel, descended from the Fallen. Demons exist and they are hunting her. She knows she's alive when she's meant to be dead. And that means maybe Jude is too. So why isn't she out there looking for him? 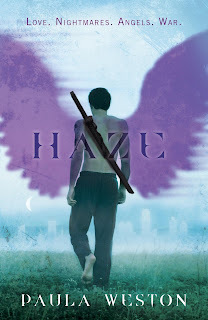 Review: First, can I gush a little about how pretty the cover of Haze is? I could stare at it and admire it for hours. OK, I’m good now! It’s been about a year since I read Paula Weston's Shadows, and what an agonizing wait it’s been to get more of this story of angels and demons and memory loss/recovery. Shadows had an utterly addictive quality to it, and Haze was just as hard to put down. Like its predecessor, Haze features perfect pacing that sates enough of your curiosity to keep you riveted to the book without revealing all of its cards. For me, a lot of the fun in reading this series has been trying to puzzle out exactly what’s going on right alongside the protagonist, Gaby. These are not the sort of books where you’re ten steps ahead of the heroine and rolling your eyes as she struggles to put foreshadowed clue #1 and foreshadowed clue #2 together. On the contrary, Gaby is much smarter than that, as well as smart enough to know not to implicitly trust all of the faces that keep popping up from a past that she can’t fully recall. Gaby may be coming to terms with the fact that she’s one of the Rephaim, the half-human offspring of fallen angels, but her life continues to become more and more complicated. Her twin brother, Jude, who supposedly died in the car accident that left Gaby seriously injured, may in fact be alive. Gaby’s ensuing search for him figures prominently in Haze, but the novel doesn’t forget to revisit some unresolved plotlines from Shadows, either. In no way has Gaby seen the last of both friendly and not-so-friendly Rephaim, as well as the demons who once haunted her dreams but are now all too real. Her interactions with the other Rephaim are especially intriguing to read about because all is not harmonious among them, and they’re essentially split into two groups. Of course each badmouths the other, making it difficult for Gaby, and the reader, to figure out who to trust. And then there’s Rafa. As the Rephaim who appeared out of nowhere into Gaby’s life at the beginning of Shadows, Rafa has been a constant—and most enigmatic—presence in both books. There are things he knows about Gaby’s past and their past that he keeps tucked away in that lovely head of his. He can be so exasperating, antagonistic, hilarious, and swoon-inducing, and I love all of these facets to his character, particularly the snarkiness. Sarcastic guys may not be to everyone’s liking, but they are to mine, and that’s why Rafa and I get along so well. Even if I didn’t already love the series for its deft storytelling, its version of angels, and the clever chapter titles, I’d love it because of Rafa. Once again, I found myself absorbed by the mystery of Gaby’s past as she worked to reconcile the Gabe whom the other Rephaim knew with the Gaby she believed herself to be. The suspense only deepens in Haze, culminating in a cliffhanger that still pains me terribly when I think about it. You’d better believe that I’m counting down the days until Shimmer arrives in the US. All in All: I love Paula Weston’s storytelling and characters. The latter are quite numerous, but she gives them such distinct personalities that you never have to stop and sort out who’s who. And you certainly never confuse Rafa with anyone else! 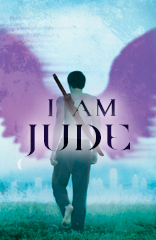 And now to reveal the Rephaim character I'm most like . . . .
We learn quite a bit more about Jude in Haze, and I think my quiz result is spot-on! I have really really been wanting to start reading this series, it looks enthralling! It's such a great angel series! Hope you enjoy it, too! Oooh sounds like just my kind of book. I love mysteries that leave you guessing and great character development. Thanks so much for sharing! Jaclyn @ JC's Book Haven. I really like the pace at which the story arc is progressing. You're always given just the right amount of info to keep you glued to the page without throwing too much at you all at once. The covers are beautiful, and the way angels and demons are depicted in the series is awesome, too. I've read some not-so-great angel books in the past, but I'm happy to say that this series is nothing like those books. You should definitely check it out! I'd heard a lot of buzz about it before it arrived here in the US, and it was absolutely worth the wait! 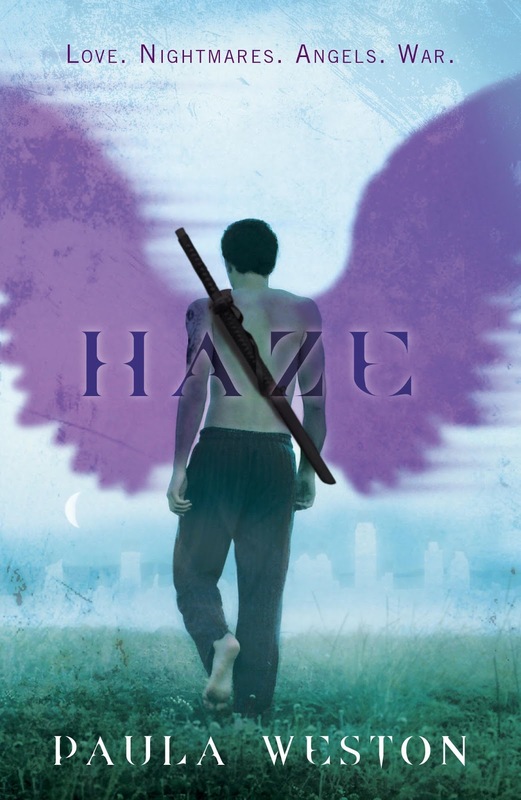 I love it when you pick up a sequel and find yourself jumping right back into the story, as if no time has gone by at all, and that's how I felt when I started Haze. It was really hard to believe that it had been a year since I'd read Shadows! I've been dying to read this series since I started hearing fabulous things about! I absolutely recommend it, especially if you like angel reads. It's a great story, and I just love the characters! Read the Book or See the Movie First?